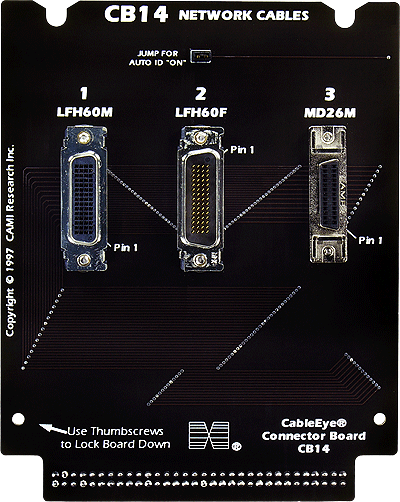 This board was configured especially for router cables used in network and telecom applications. Included are male and female 60-pin Molex LFH connectors, and a female MD26 connector used for male cables. Set of two boards.